With a video teasing its on- and off-road capabilities and adventuresome spirit, today Honda announced it will unveil the all-new 2019 Honda Passport on November 27, the day before making its auto show global debut the 2018 Los Angeles Auto Show. The reveal will be livestreamed and available for viewing on Honda's YouTube channel (https://honda.us/PassportReveal) starting at 3:30 p.m. PST. The new Passport, launching early next year, expands on Honda's award-winning light-truck lineup, joining the HR-V, CR-V and Pilot as Honda's fourth SUV and its sixth light-truck model, including the Odyssey minivan and Ridgeline pickup. Passport was designed and developed in the U.S. by Honda R&D Americas and will be manufactured at Honda's Lincoln, Alabama plant. "The new Passport is a more personal, powerful and off-road-capable SUV that hits the sweet spot between daily driving comfort and weekend off-road, all-weather adventure capability," said Henio Arcangeli, Jr., senior vice president of American Honda Motor Co., Inc. & General Manager, Honda Division. "With customer demand for SUVs continuing to grow, the new adventure-ready Passport is going to further solidify our lineup, attracting new buyers and keeping existing customers in the Honda family." Honda brand light-truck sales are on track for a fourth-straight record year, on the way to top 700,000 units for the third year in a row and now accounting for more than half of the Honda brand's U.S. sales so far this year, with light-truck sales up 5.3 percent from year-ago results. Further strengthening its capacity to meet record demand for light trucks, in August Honda added production of the CR-V to a fourth North American plant, in Marysville, Ohio. The CR-V is now Honda's top-selling model and continues as the most popular SUV in America over the past 20 years. Earlier this year, Honda launched freshened versions of its Pilot and HR-V sport-utilities, with upgraded technology, expanded availability of Honda Sensing®, and more premium features. 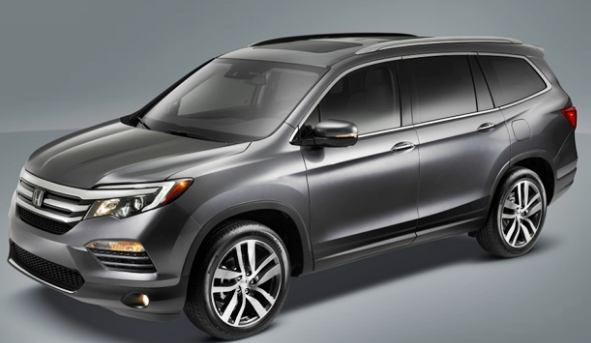 Strong demand for the Honda Pilot has sales up more than 41 percent for the first ten months of 2018. The Honda light truck lineup has been widely recognized for excellence in design, packaging, safety features and performance, with Honda named America's "Best SUV Brand" by U.S. News and World Report in 2018, for the second straight year. Reflecting Honda's commitment to local production, the Odyssey, Pilot and Ridgeline recently took three of the top 10 spots in Cars.com's 2018 American-Made Index.